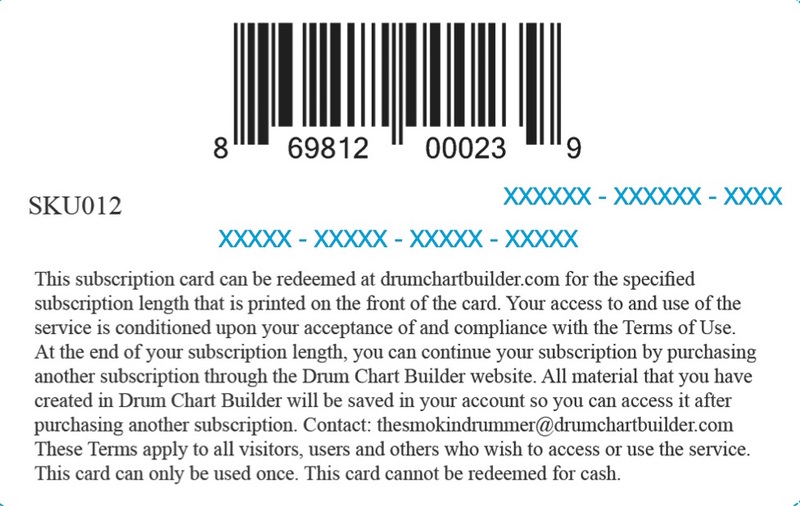 Purchase or give the gift of a 1-month subscription card for Drum Chart Builder. 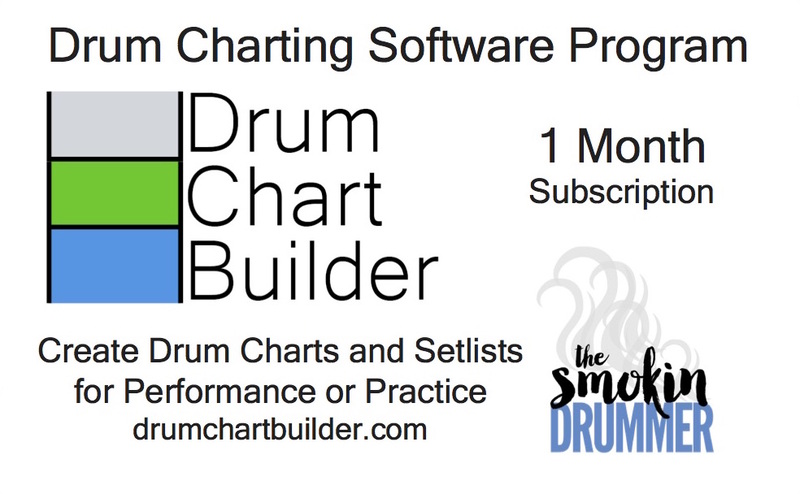 Blank chart screen to build a one-page drum chart. Using the fast drop-down menus, choose song form, count out measures and add notation. Fast preset drum pattern library to add song patterns to your chart.